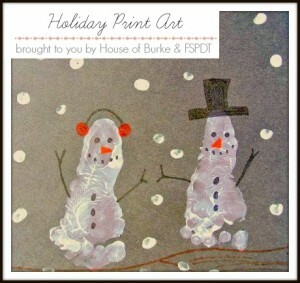 As part of the Holiday Print Art series with House of Burke, today we are sharing our Christmas Tree Handprint Art. 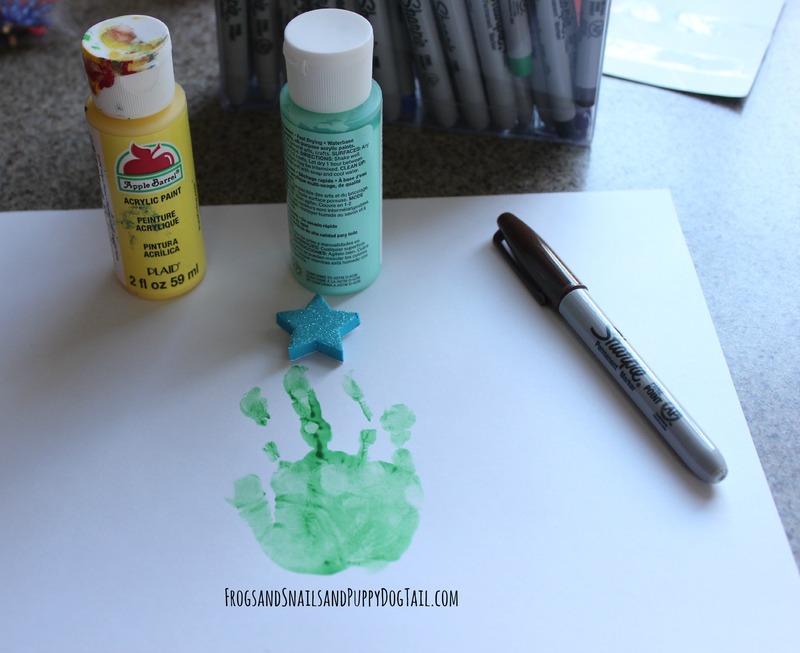 We did footprint Christmas trees last year and just had to try the handprints this year. 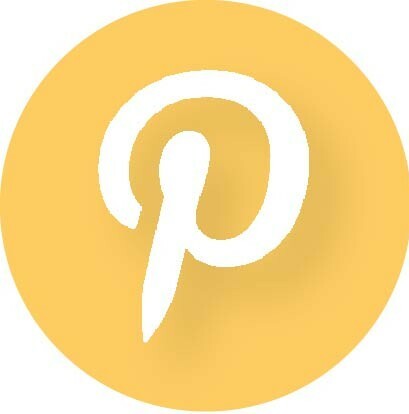 I love print art having small kids still. 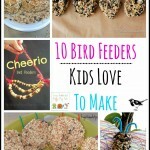 They have fun helping to make them and I love that we get a wonderful keepsake from it for years to come. 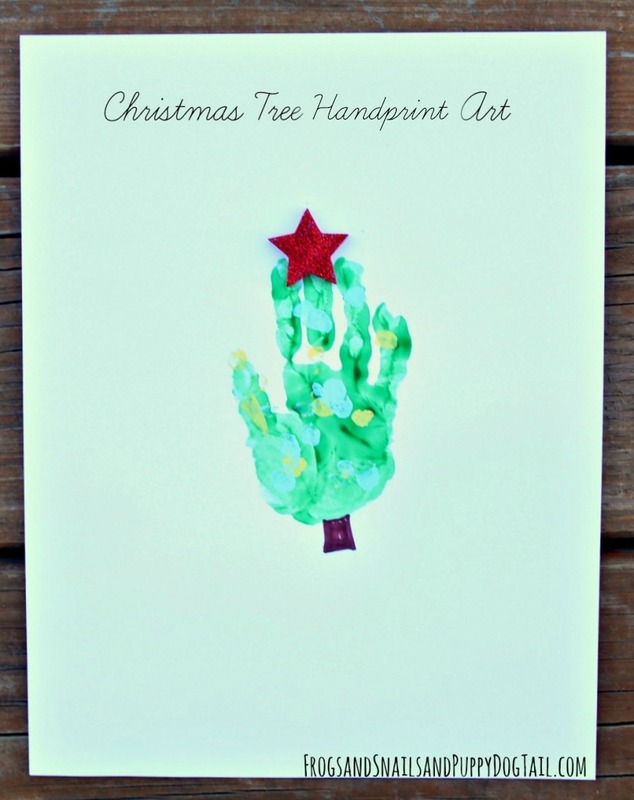 We set out to create fun Christmas tree handprint art one day and the kids and I just loved how they turned out! 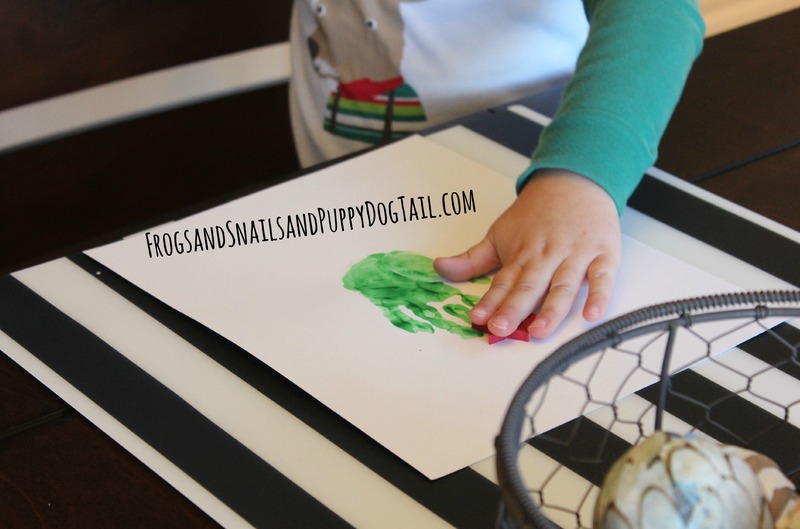 Make green handprints of the kids on the white paper. 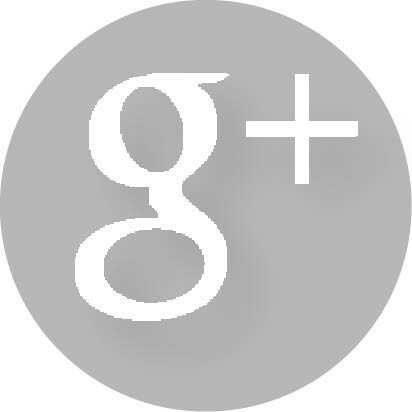 I have found lately if I dip my finger in the paint and paint their hand then press against the page it works well. Leave them to dry. 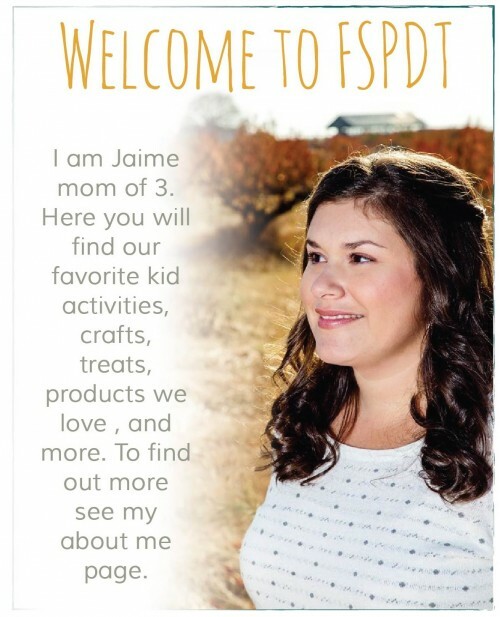 I did one for my 2yr, 3yr, and 6yr. 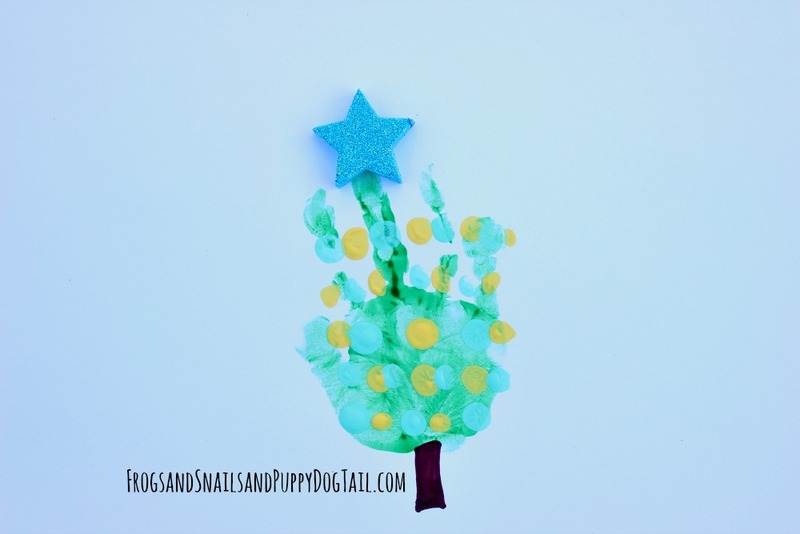 Once dry, we went back and added foam glitter star stickers to the top of the “tree”. 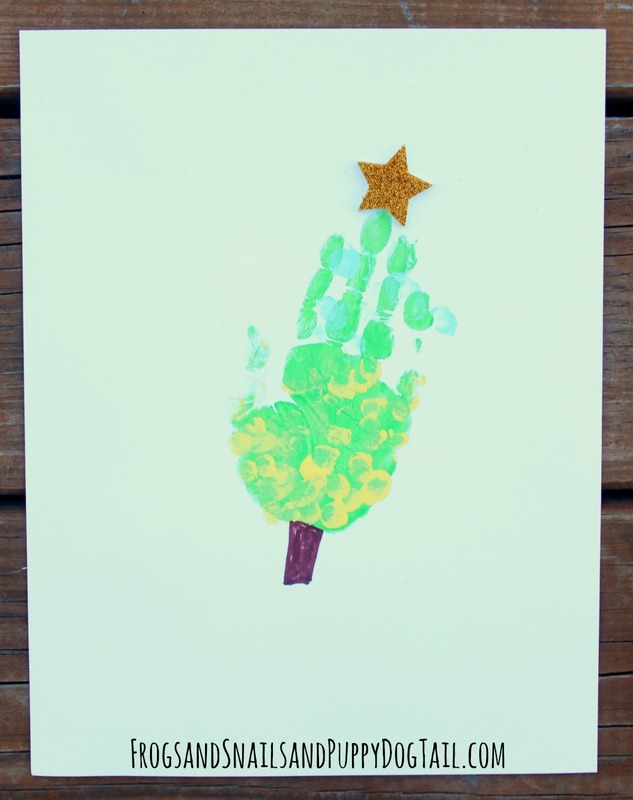 Then used the teal and yellow paint to make fingerprint ornaments on the Christmas trees. Once these dried they went up on the art wall with our Reindeer footprints to help decorate the house. The kids are now so proud of their Christmas themed art wall! 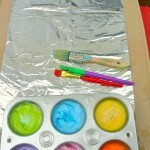 I love using the kids art to decorate for the holidays!